Our new modern Lakeside Lodge can comfortably accommodate 6 people. Each lodge has under-floor heating, a log burner and for that extra bit of luxury you have your very own private Swedish hot bath on the decking area outside. Our fully insulated pods are the perfect break for the family, comfortably sleeping 4 people it has all the equipment you need.You have your own private en-suite with shower and toilet, all bed linen and towels are provided for you too! Make sure you pre-order our tasty Cornish Cream Tea or delicious breakfast hamper for your arrival! 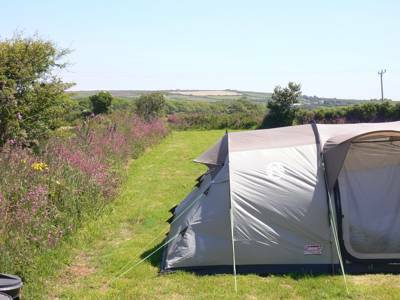 Opened in 2013, Trecombe Lakes is one of Cornwall's loveliest glampsites. Secreted in a tranquil waterside spot near the charming village of Constantine, this idyllic setting is perfect for a hassle-free Cornish break. 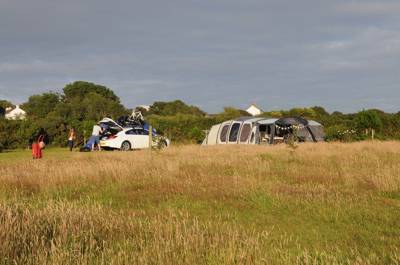 The six pods which comprise the glamping lodgings are perfect for reluctant tent campers. 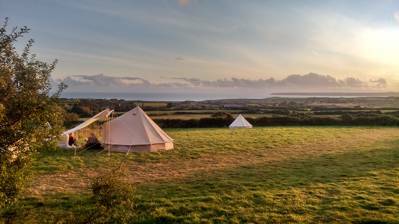 Somehow managing to be both cosy and airy, the fully insulated pods are kitted out with comfy beds (one double and a couple of singles) and linen so all you need do is bring yourself and an appetite for exploring this magical corner of south-west England. There's even a cute little kitchenette so you can cook up a storm using some of the fine Cornish produce on offer (be sure to ask about their special breakfast hampers) and an en-suite toilet and shower room inside each pod. 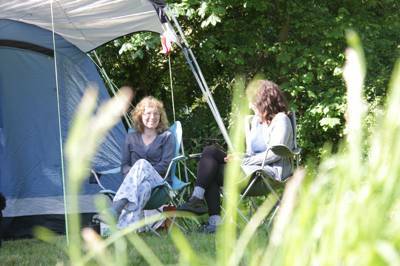 The newest addition to Trecombe Lakes is the super luxurious woodland lodge. More treehouse than cabin, this hi-spec abode sleeps up to six and comes brimming with all mod cons including underfloor heating and stylish interiors. There's a wood-fired Swedish hot tub on the veranda, with gorgeous views of the surrounding woodland and lakes. Kids will love exploring the nine acres of woodland and the play area with climbing wall, treehouse, nets and rope swings. The centrepiece of the site though is the eponymous lake (conscientiously fenced off from the play area). Should you tire of the innumerable places to visit offsite (including the path of the nearby Helford River), jump in one of the complimentary rowing boats for a peaceful paddle on the water, before lounging back on your decking with a beer and a barbie on the go. Pure bliss. Trecombe Lakes is just five miles from the historic and vibrant town of Falmouth with its stunning beaches, quirky shops and great restaurants. Close by is the beautiful Helford river boasting ancient woodlands, hidden beaches, quaint pubs and the renowned valley gardens of Glendurgan and Trebah. Further afield are St Michael's Mount, The Eden Project and the surfing beaches of the North Coast. 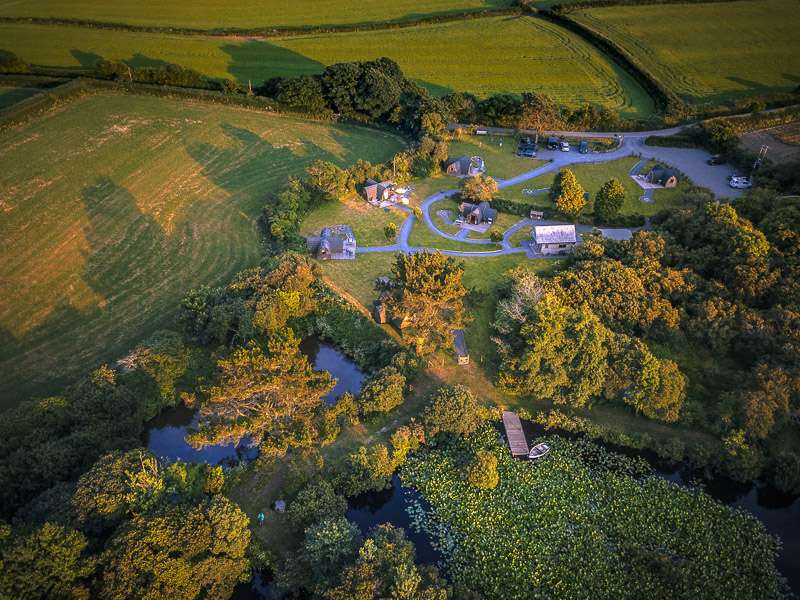 Trecombe Lakes is a unique place to stay and ideally positioned to explore all of the great things that Cornwall has to offer. For latest availability and best prices for Trecombe Lakes, please use the Date Search above. 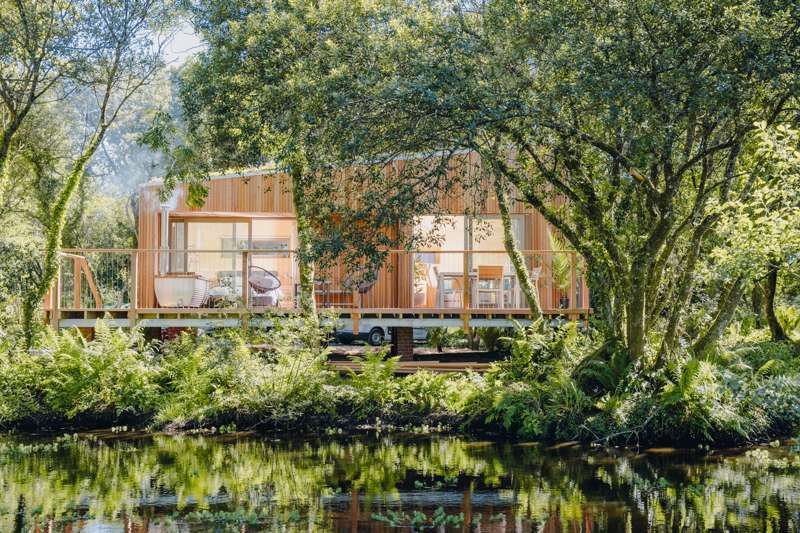 1 lakeside lodge and 7 luxury pods. A single luxury lakeside lodge (sleeping 6) with underfloor heating, self-contained bathroom (include shower and toilet), proper kitchen and Swedish hot tub on the veranda. 6 brand new luxury pods sleeping 4, each with one double and two single beds (travel cot can also be accommodated for additional cost), toilet, shower and kitchenette equipped with electric hob, sink and fridge. Pods are double-glazed and fully-insulated. Bed linen, bathroom towels and kitchen equipment are all provided. The decking area has a picnic table, outdoor beanbags, a Webber BBQ and fire pit. Communal laundry. Woodland play area, boating lake. Explore Falmouth's maritime heritage and buzzy arts scene. The landmark Eden Project (01726 811911) is always worth a visit too. The Glendurgan Gardens and Trebah Garden in Mawnan Smith are two of Cornwall's finest gardens, with colourful exotic blossoms cascading down to a private beach on the Helford River. Enchanting St Michael's Mount (01736 710265) is a tidal island with its own Medieval castle, which is now owned by the National Trust. Of course, Cornwall is famous for it's pristine beaches. Maenporth Beach is one of the region's more popular spots yet is refreshingly uncommercial. For something a little more adrenaline-fuelled, Lizard Adventure (07845204040) specialise in kayaking, coasteering and climbing excursions olong the rugged Lizard Peninsula. Cornish tea and breakfast hampers, brimming with all manner of lovely local produce. are available upon booking. The multi-award-winning Trengilly Wartha Inn (01326 340332) serves up fantastic local ales and dishes. The Potager Garden and Glasshouse Cafe (01326 341258) serves up fabulous vegetarian dishes in beautifully bucolic setting. The Ferryboat Inn (01326 250625) has been serving pints for the last 300 years. Boasting breathtaking waterfront views, this is a truly atmospheric setting to enjoy none-more-fresher shellfish. Pods: 2-night stays from £142.50. Lodges: 3-night weekend stays from £495 (Monday & Friday check-ins only).